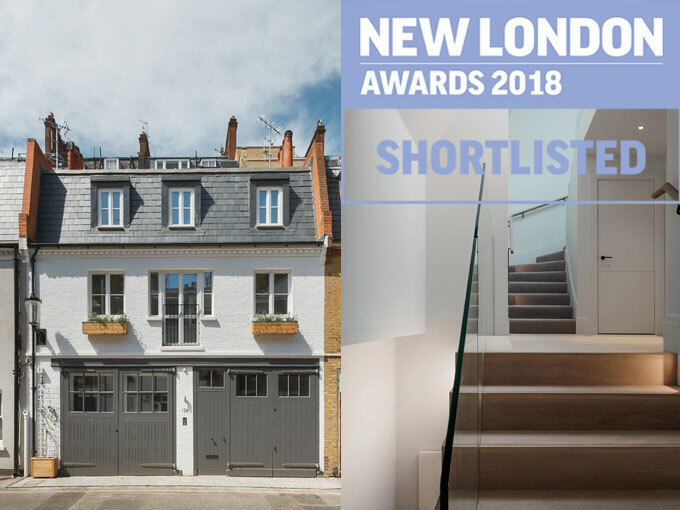 Our low-energy refurbished Chelsea mews house for Cadogan has been shortlisted in the Homes category of the New London Awards 2018. The significance of this small project is as a precedent for refurbishing London’s historic buildings. It proves that with intelligent design even modest residential stock can be updated to rigorous levels of sustainability whilst sensitively respecting its heritage. It will appear in the New London Architecture exhibition of London’s best new projects. The winners will be announced on 4 July.